Jasper Paakkonen. Mikko Leppilampi. Pamela Tola. Petteri Summanen. Matleena Kuusniemi. Mikko Kouki. Sulevi Peltola. Drama. Art House. 01 Will's stamp of approval. Drinking/drunk. Drugs Related. 01 Nigel's Choice. Chases; Cars, buses, etc. Police. Salesman. Recommended. 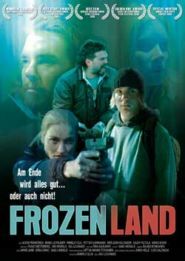 A multi-stranded tale of tragedy after tragedy unfolds against an icy Finnish backdrop. Following the sacking of a school teacher we follow a chain of misfortune from victim to victim; a loser car-thief, an ex-alcoholic vacuum salesman, who falls off the wagon in spectacular style, a depressed policewoman, a computer hacker and the policewoman's husband amongst others. A dark, uncompromising film which shows how fickle and cruel fate can be. There are some moments of humour but they are jet jet jet black.